Happy online consultants wearing headphones with microphones sitting at computers and answering questions asked by clients. 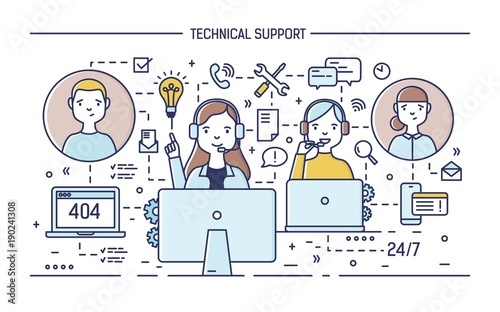 24 hour technical support service. Vector illustration in line art style.